Struggling to keep up with Social Media? Missing comments, tweets, updates? Still searching for a tool that fits? It can feel like a battlefield trying to stay on top of it all! In this post, I show you some of the latest findings about the most popular social media mangement tools. Which tools are we are loving for user satisfaction? Product direction? Customer Service? Pricing? And I share my favourite of the social media management tools right now. You might be surprised! There are so many social media management tools out there that it can be hard to keep up! Luckily for us, G2 Crowd (the world’s largest business software review platform) teamed up with Blogger Ian Anderson Gray to produce an awesome infographic to make it easy for us. G2 conducted detailed customer reviews as reported in this post at Seriously Social. And please note – these are management tools, not just sharing tools – they all allow you to engage as well as schedule and post. So, Which tools lined up for the battle? Before we jump into the results (and which tool or tools I am loving) I want to share a little of my Social Media Management Tool History – because I have used 3 out of 4 of these tools at one time or another. I started out with Hootsuite early on and after a while realised that I wasn’t keeping up with the multiple columns and needed a more linear approach. Price was fine, useability was fine, but I was forgetting to check all the columns and needed something more linear. Timing meant that pricing was a factor for me. So, when I stopped working with clients and focused on my own products and services, I was at a loss as to which tool to use. One thing was for sure. I was losing track of a LOT of mentions! Enter Agorapulse. Why do I love Agorapulse? Because it’s linear like Sprout Social, has great reporting and analytics, is super user friendly (I love their mobile app) and allows me to keep track of tweets, comments and shares across Facebook, Twitter and Instagram. To me, Agorapulse IS Engagement. Without it, I would miss the conversation, like I had been for years! I had no idea how many hidden tweets I was missing that were not direct @mentions! Now I can also quickly see who my advocates are, who is sharing my content and engage with them. I should add that I use other tools for scheduling content such as Post Planner but for an all round engagement tool you can’t beat Agorapulse. And you can use it to schedule posts to Facebook too if you wish. I get to inbox zero often.. before that, inbox zero was unheard of. Agorapulse also has awesome analytics and handy functionality for running sweepstakes and contests. Note: I can’t really comment on Sendible having not used it before and the number of ratings was low in this sample, but it may be one to check out and watch based on the results below. Surprising to some (but not to me and those of us that use and love Agorapulse) this all-round soldier of a tool hit the top of the rankings for just about EVERY parameter scored. You can read the full article here and analysis by Ian Anderson Gray about each tool. Agorapulse scored in the Number 1 Ranking for User satisfaction, Support, Product, Direction and meeting Business Requirements for the tool. Read more here. Useability (with Sprout Social taking the top spot in both categories. Again, not surprising given that Sprout Social is definitely easy to learn, easy to use and has a great user interface and functionality. In fact the only place that Agorapulse fell down a little was in Market Share… though I suspect after these findings, it won’t be long before that is a different matter! Always a favourite for useability – Sprout Social is worth checking out if it is within your budget. If you need a tool that schedules as well as for engagement then this is definitely a winner in my book. Sprout performed well on all parameters .. the only place it lost out a little was on pricing. Again – great tool, but with exchange rates at a low here in Australia at the moment, it’s starting to get up there in price. Check it out but maybe explore more affordable options first. A clear winner for price, but when it comes to paramaters like Useability, Useability, meeting needs and Customer Service, Hootsuite scored low. Again, Hootsuite continues to have a big share of the market, and functionality like scheduling for Instagram has been a good drawcard lately. But for how long? 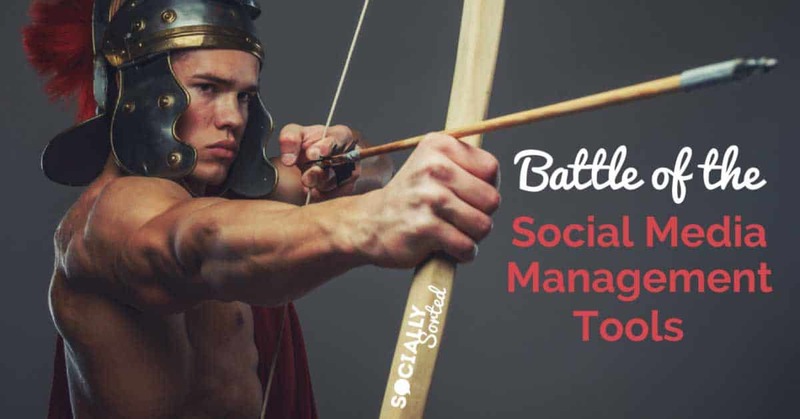 I would say that with tools like Sprout Social and Agorapulse in the field of battle, Hootsuite had better keep on its toes! Now, Go Find the Right Tool! Are you stuck finding a social media management tool that suits your needs? What are you using now and is it doing the job? If not, try some of the suggested tools here. You’ll be getting the best of the best, and I am sure there will be one with a good fit for you. 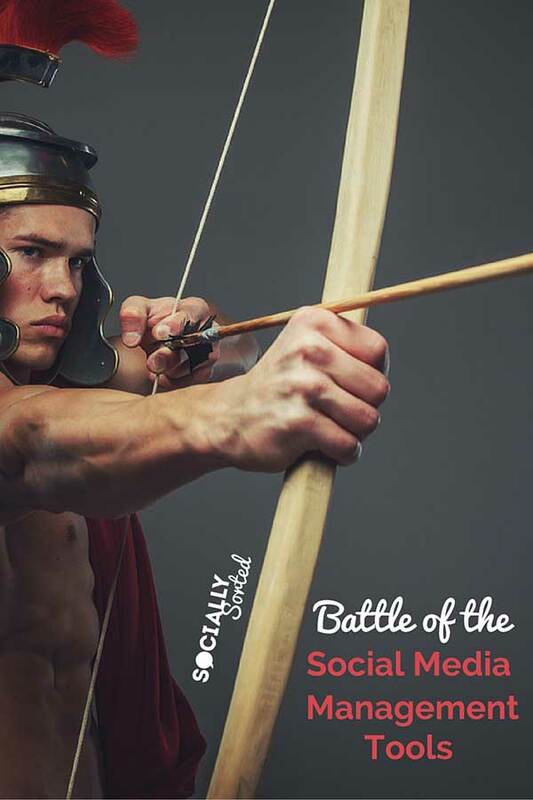 The post Battlefield of the Social Media Management Tools: Hootsuite vs Agorapulse vs Sprout Social appeared first on Socially Sorted.